The gardens have now been cleared, the herbs and vegetables either canned or dehydrated, so it was time to create some vegetable broth and stock powder for the fall and winter soups and stews. 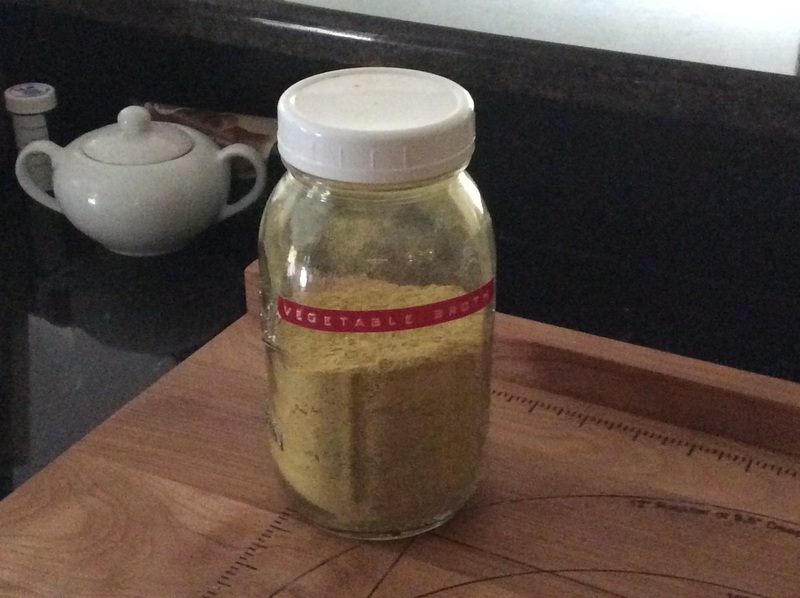 Today I made a container of vegetable stock powder that I like to use to season beans and some winter squash soups. As well as a vegetable stock powder which is great for stews and a number of soups. The following is the stock power recipe. Arrange the vegetables on dehydrator sheets and dehydrate at 135F for an hour, then continue to dehydrate at 115F for about six additional hours. Check often and remove vegetables as they dry. 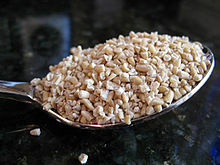 Add the dried and cooled vegetables to a blender and process until a fine crumble is created. Pour crumble into a bowl and stir in seasonings. Store mixture in air tight containers or sealed bags. 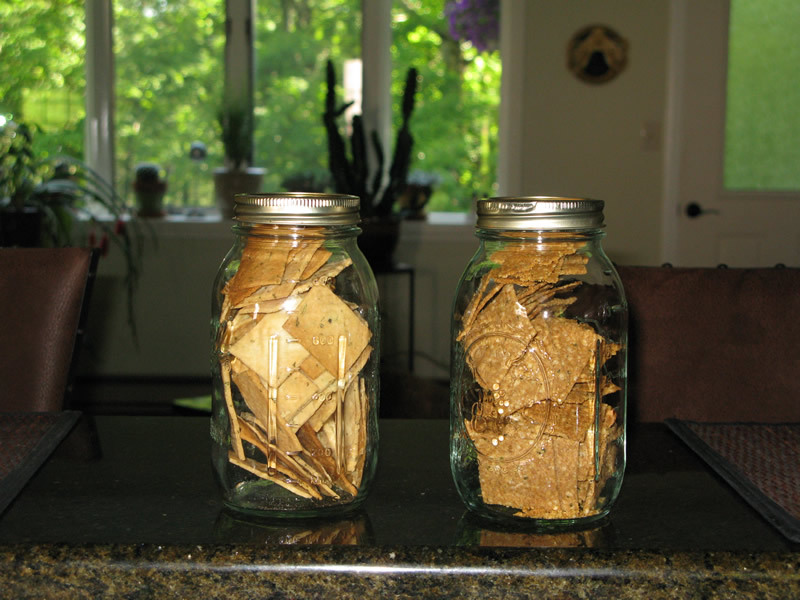 Tomorrow one of the faculty form the University that I use to work at is coming over to visit and walk the gardens around the house, so I thought that I would bake some gluten-free crackers to serve with cheese and an apple cake as part of the food offering for his visit. The apple cake recipe was posted this past winter and the cracker recipes are listed below. Preheat oven to 300° degrees. 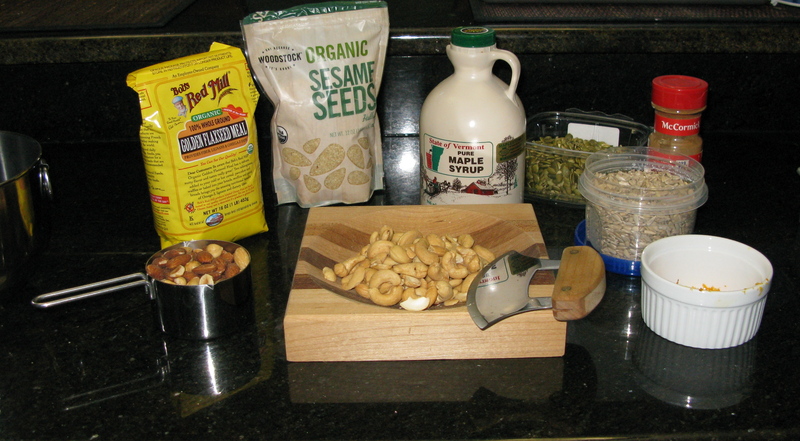 Mix almond meal, flax meal, shelled hemp seed, coconut flour and fine sea salt in a large bowl. Pour melted coconut oil and large white egg over the dry ingredients and mix well to combine with a fork until dough comes together in a ball (you may need to use your hands). Mix flour, sea salt, and rosemary in a medium bowl. In a small bowl whisk together olive oil and egg. Stir wet ingredients into flour mixture until thoroughly combined. Roll the crackers out 1/8 inch thickness between two sheets of parchment paper. Use a sharp knife or pizza cutter to cut into small squares. Bake for 12-15 minutes, or until lightly golden. 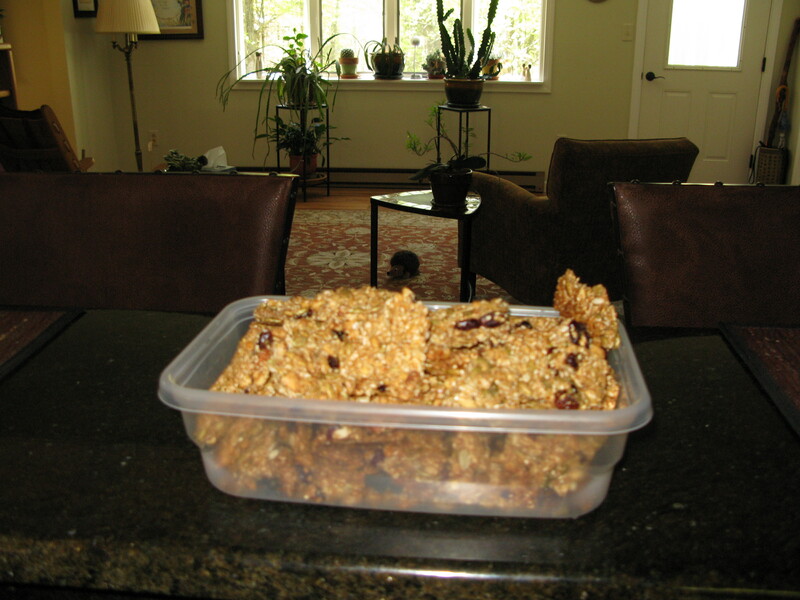 Cool on baking sheet for 30 minutes, then serve or store in airtight container for up to 2 weeks. With all the rain and overcast days that we have had recently the vegetable gardens are maturing very slowly to the point that the only items that have reached maturity at this point are the radishes and some of the kale that was started in the greenhouse. I know, I am just being impatient, but I really miss fresh produce and items that we preserved from last season are pretty much gone. 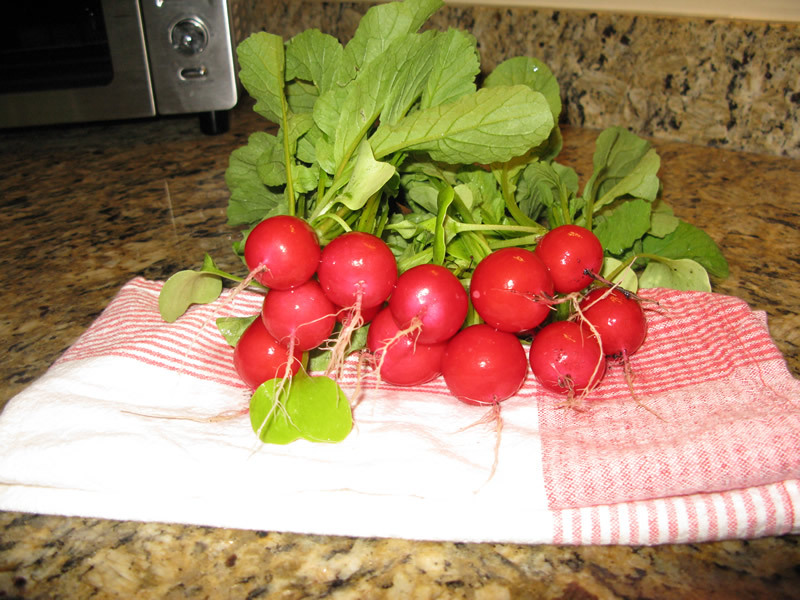 So what is a girl to do… well as Erma Bombeck stated — “When life gives you lemons make lemonade” or in my case, when your gardens produce lot of radishes find a way to use the beautiful greens. The young greens enhanced green salads but the larger more mature leaves were a bit to tough and bitter for that purpose. I really didn’t want to throw the nutrition packed large bunches away so I decided to try making pesto out of them. The pesto turned out to be wonderful, it really perked up some early season meals. I tossed it with angle hair pasta for dinner one night and served it on black bean burgers another and froze the balance of the pesto for another day. 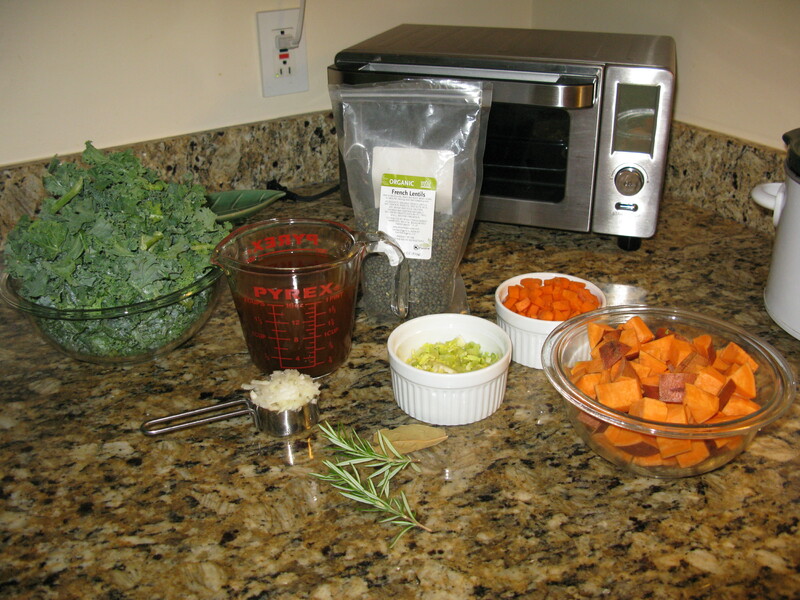 Put all the ingredients in a food processor or blender or mini-chopper, and process in short pulses until smooth. 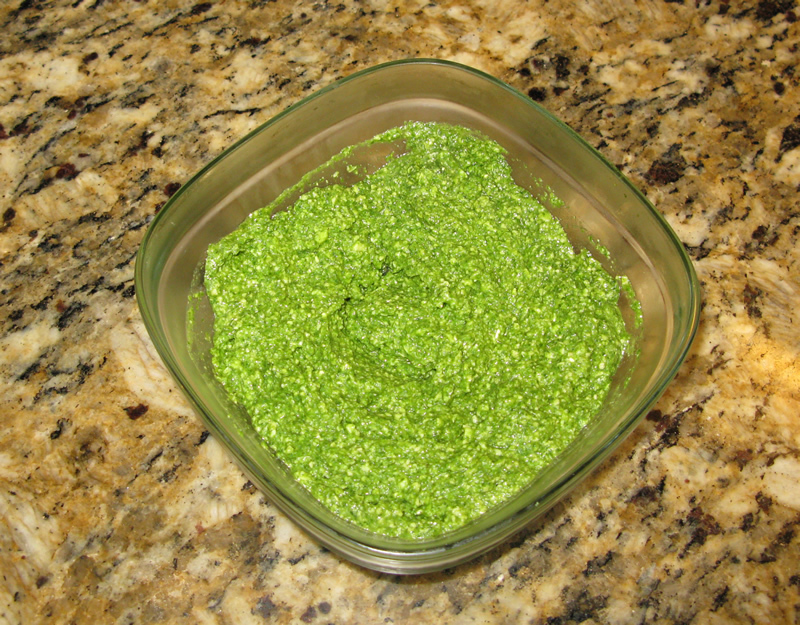 This produces a thick pesto; add more oil and pulse again to get the consistency you prefer. Taste, adjust the seasoning, and pack into an airtight container and refrigerate at least 4 hours prior to serving. Yeah! It is blueberry season. There are sweet fresh blueberries coming into season all over the state, so I just had to make some blueberry bran muffins. Unfortunately, this is not one that I have had an opportunity to convert to gluten-free yet, so we have slipped back into wheat flour for this little treat. You may want to try this delicious muffin if you have converted to gluten-free by choice and not due to health problems. The nutritional value of these little gems make adding a bit of wheat flour back into the diet for a short period of time a little easier. Preheat oven to 400 degrees. and prepare 18 muffin cups. 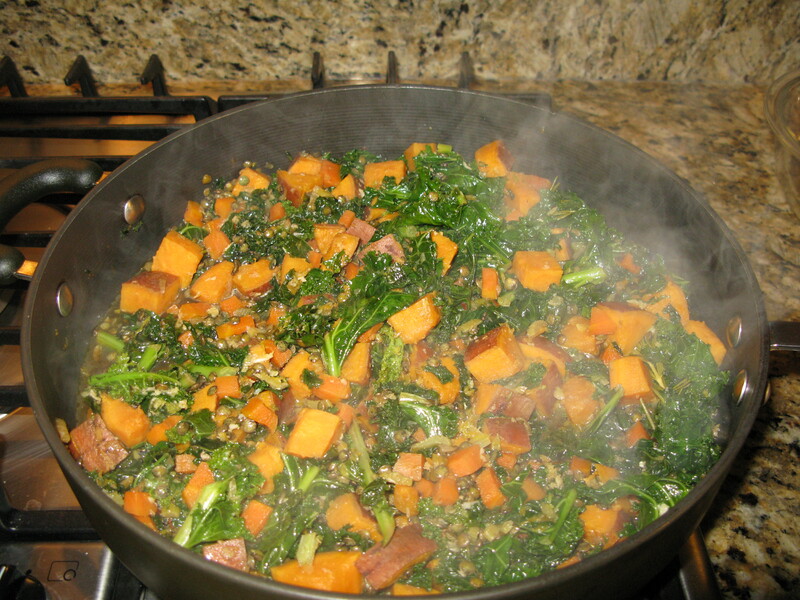 In a small bowl, stir smartbran into 1 cup of juice and set aside for 15 minutes to soften. In a large bowl combine flaxseed meal, flours, hemp seeds, baking powder, baking soda, cinnamon, and cardamom. In a medium bowl, beat remaining 3/4 cups of juice, olive oil, maple syrup and vanilla. Add softened Smartbrand and beat for 30 seconds. Pour liquid mixture into dry ingredients. Add blueberries and stir until just blended. 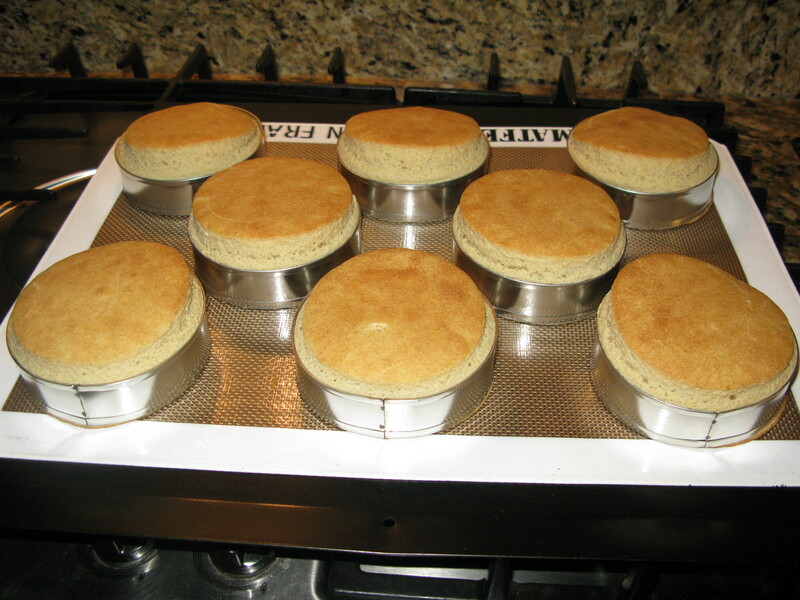 Bake of 17 – 18 minutes turning muffin tins 1/2 way through the cooking process. Cool for 10 minutes before turning muffins out on a rack. Serve at room temperature with some yogurt and fresh fruit. Freeze leftovers to retain freshness. All of the items appeared to be a hit, but the most popular offering appeared to be the rosemary hummus, so I thought I would share the easy to make recipe with you. 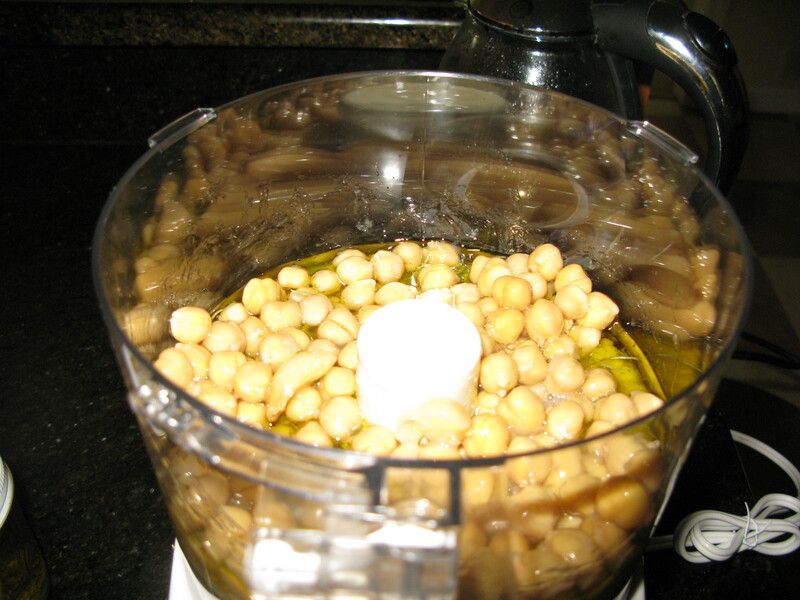 Add cooked garbanzo beans to a food processor together with the lemon, juice, crushed garlic, salt and 4 tablespoons of oil. Blend until smooth, adding the reserved cooking water, a little at a time until the desired consistency is achieved. Leave the mixture to stand for an hour or so to let the flavors develop. Drizzle 2 tablespoons of the oil on top of the hummus just prior to serving. 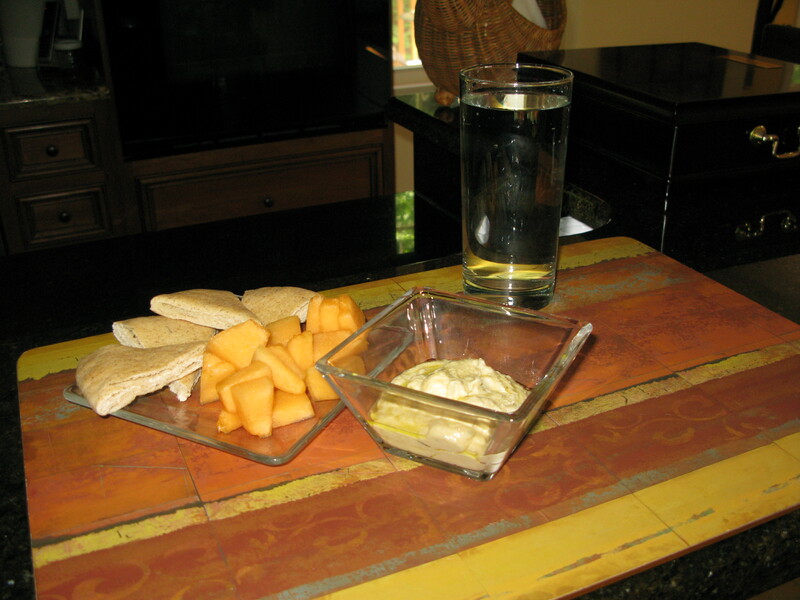 Serve with pita wedges and fresh vegetables and/or fruit. 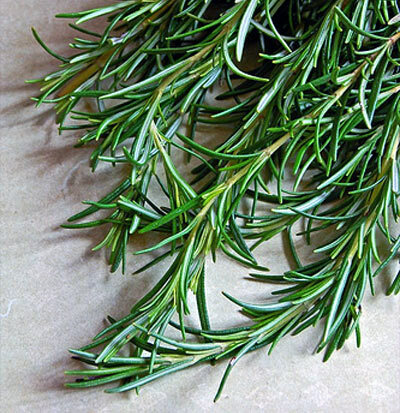 Rosemary infused olive oil: 1 cup extra virgin olive oil, 3 tablespoons chopped fresh rosemary, 1 tablespoon chopped garlic. Mix all ingredients into an airtight jar and store in a cool dark place for 2-3 weeks prior to use. 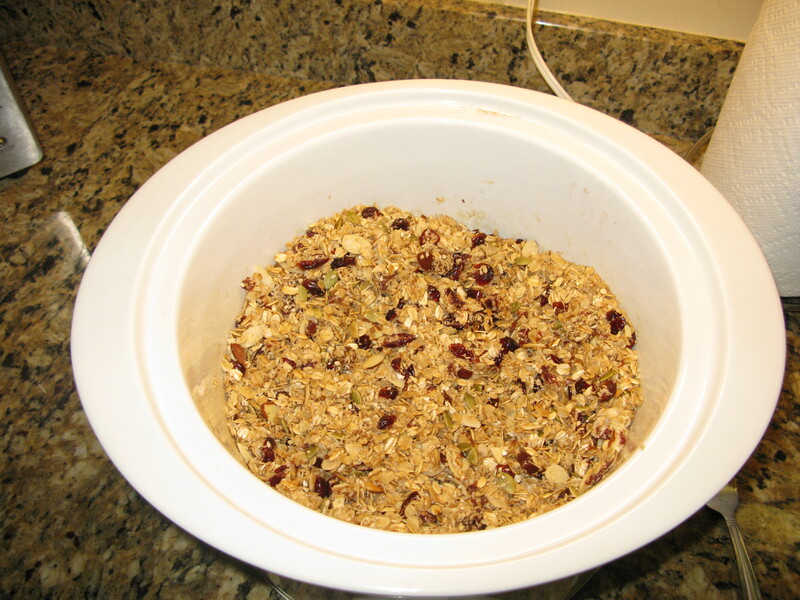 Since my family is just about out of granola and the current heatwave in this area and the oven do not mix, I decided to pull out the old crock pot and slow cook a fresh batch. 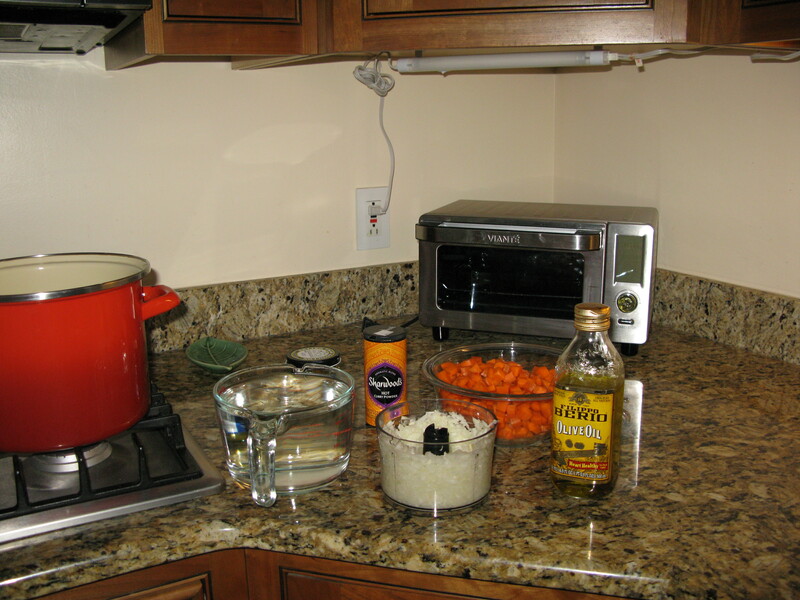 Combine all ingredients in a lightly oiled 4-quart slow cooker and stir to combine. Cook on high for 1.5 hours, uncovered, stirring occasionally. Reduce the heat to low and cook, uncovered for another 2 hours, stirring occasionally, until the mixture is crisp and dry. 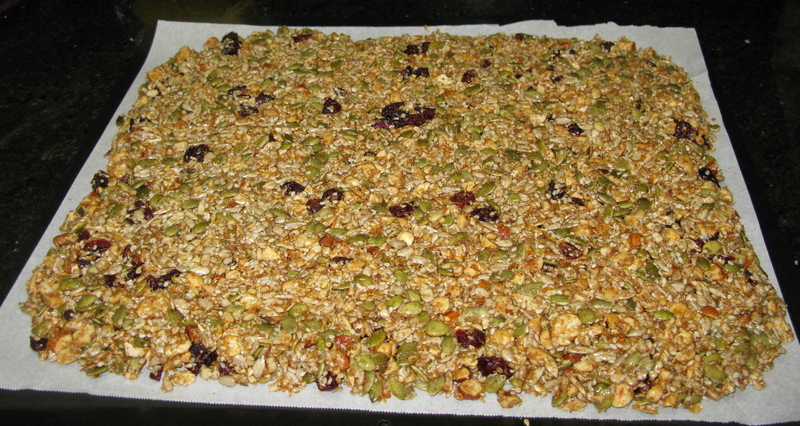 Spread the granola on a baking sheet to cool completely. This weekend is filled with gardening and yard cleanup, so I got a quick start on our two days of outside fun by making gluten-free English muffins for Sunday and hazelnut muffins for today. 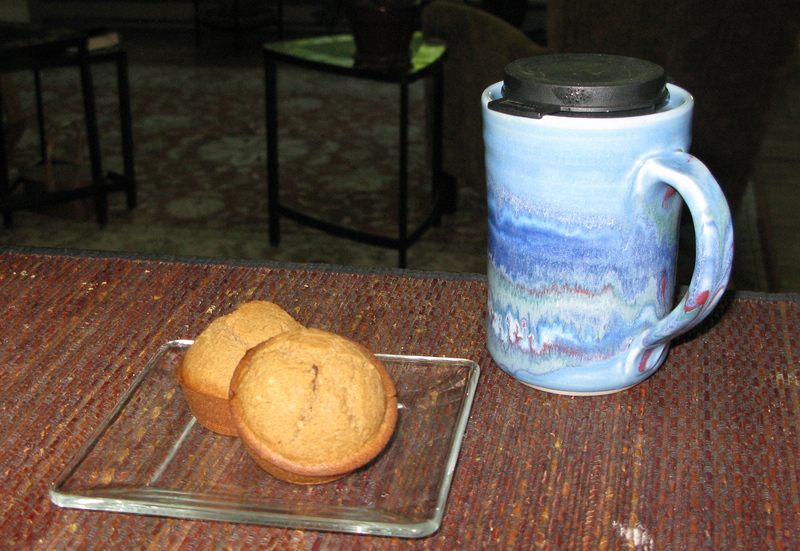 Hot herbal tea and a couple of hazelnut muffins high in nutrients and fiber were a great way to start the day. Spray a 12 unit muffin pan with oil. Combine sugar, flours, tapioca starch, baking powder, cinnamon, salt, nuts and raisins. Mix eggs, oil and apple juice and add to flour mixture, mixing quickly. Fill prepared muffin 3/4 full. 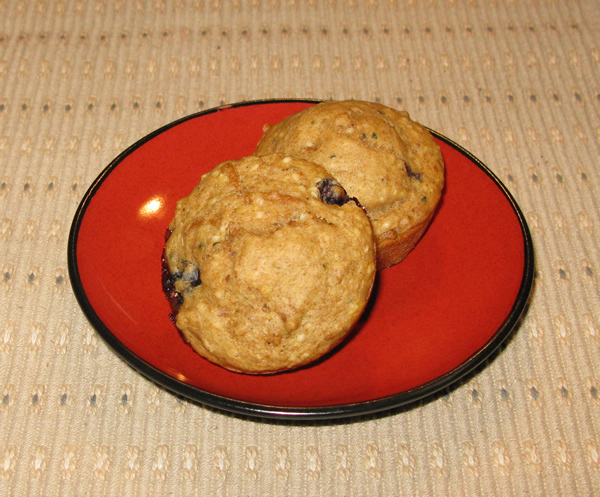 Serve at room temperature and freeze all leftover muffins to keep them fresh. Heat the olive oil in a medium sized pot. 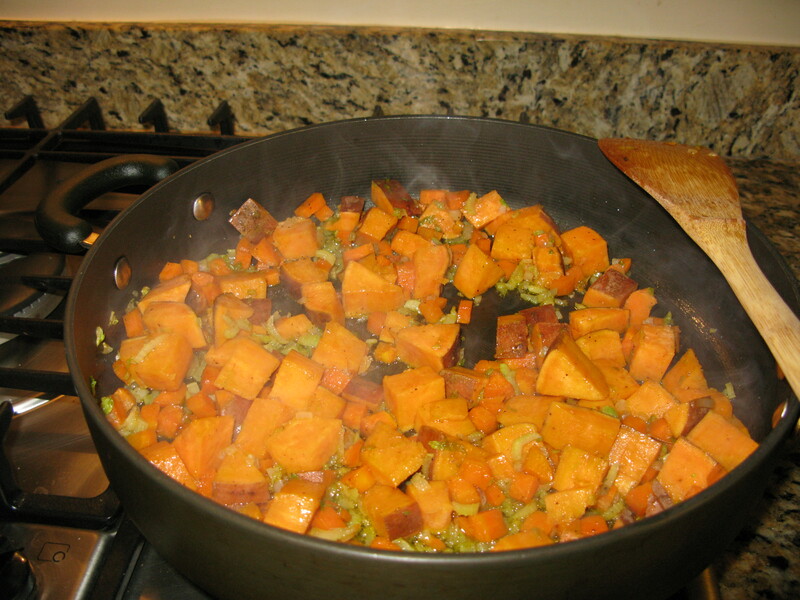 Once hot, add onions, celery, carrot and sweet potato and cook about six minutes, until softened. 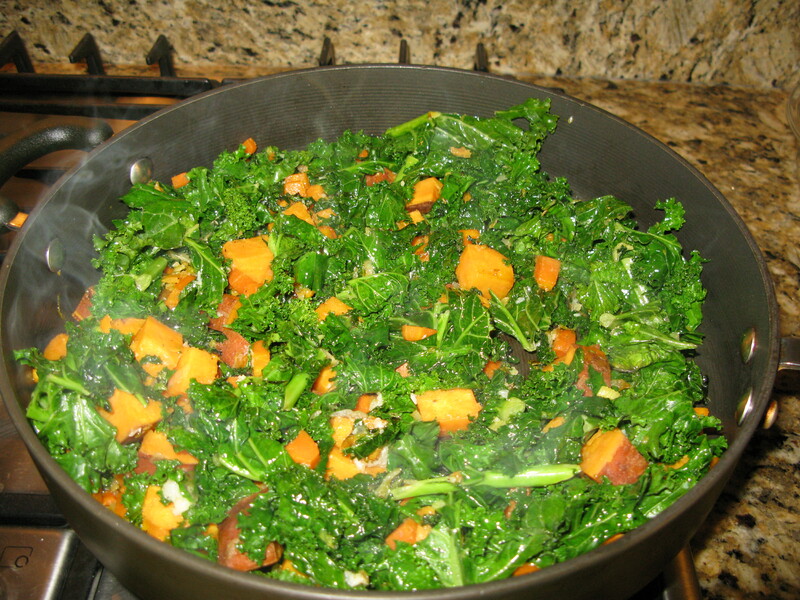 Add the garlic and kale and continue cooking until kale wilts. 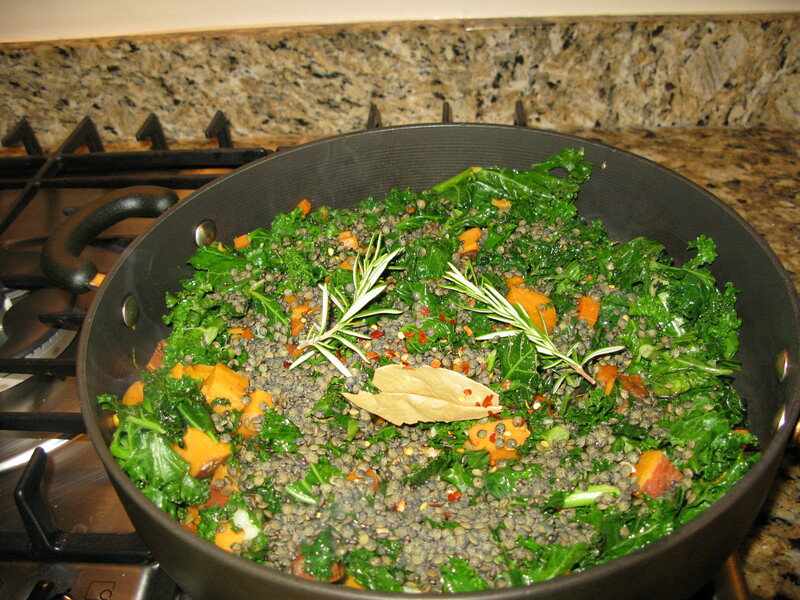 Add the lentils, bay leaf, rosemary sprigs, pepper flakes and stock. Bring to a boil, then reduce heat and simmer for about 30 minutes until lentils are tinder and have absorbed most of the liquid. Season with salt to taste and remove the bay leaf and rosemary sprigs before serving. Serve with savory gluten-free scones with olives and rosemary. We are having a really rainy weekend, so we have set our hands the finish work for our basement remodel. We got some of the top molding painted and the last of the mud on the final wall. As a reward I made the two of us some rice pudding from the leftover rice in the refrigerator. … it was a really nice way to end a labor filled day. 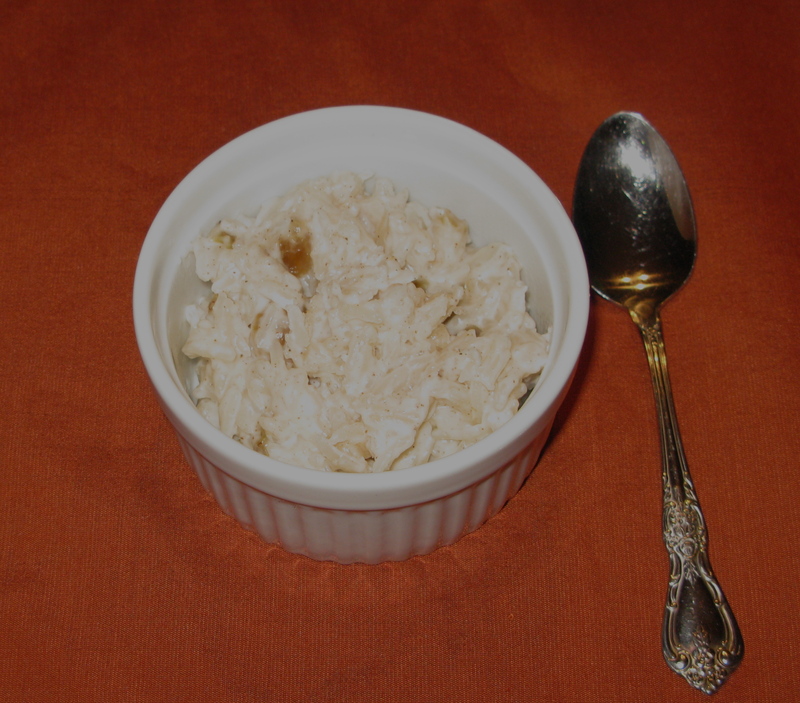 The great thing about the rice pudding recipe is that it is low in sugar, gluten-free, totally vegan and can be made in 10 minutes or less with leftovers. Add the coconut milk to a small pot. Bring the coconut milk to a simmer over medium-low heat. Add the agave, vanilla powder and cinnamon, and stir to combine. Add rice and raisins, and continue to stir until it is evenly distributed. Let the mixture continue to simmer in the pot for about five minutes. The liquids should boil off and the mixture will become thicker. Divide mixture into two small bowls and serve. 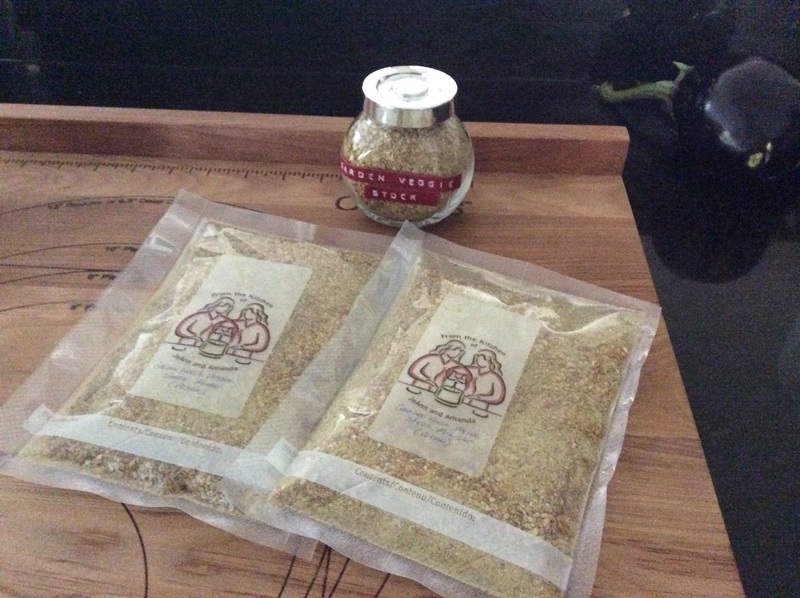 For years I have purchased seed brittle at the coop or local health food store, but recently the price has been escalating to the point that I wanted to try making it myself. After a few tries the following mixture took care of my sweet tooth and added some good oils and proteins to the diet. There is also an added benefit of being able to control where most of the ingredients come from. The maple syrup is from a place a few miles from our home, the pumpkin seeds are from a local grower (this fall from our own gardens), hazel nuts and cranberries are also from small farms in the area. It really feels good to support our own where possible. Oil parchment paper and place on cookie sheet. Put half the syrup in a bowl, mix sunflower seeds until well coated. 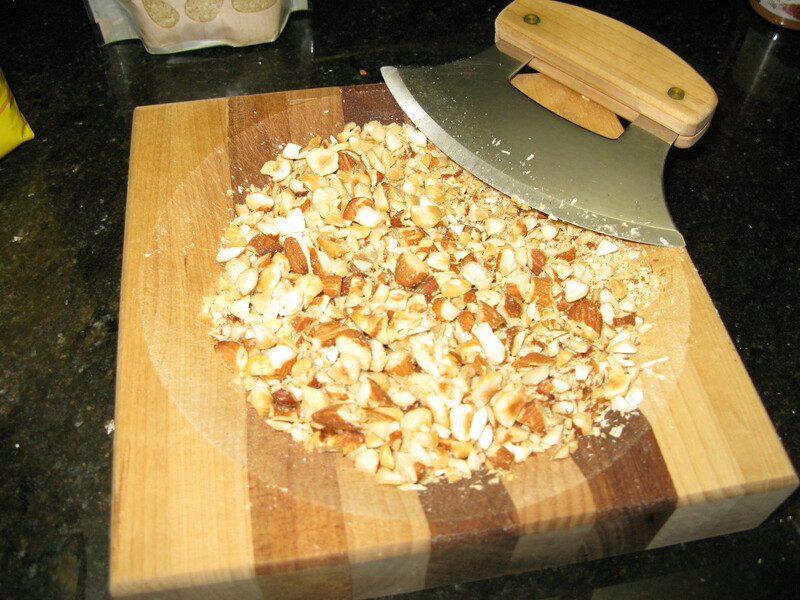 Add remaining nuts, seeds, cinnamon, salt, and orange zest. Add remainder of syrup and mix well, until all is coated. Spread mixture on cookie sheet and bake at 350 for 30 minutes. Note: When you break up the brittle there will be a fair amount of crumbs. Do not throw them away — they are great served on yogurt or fresh berries. 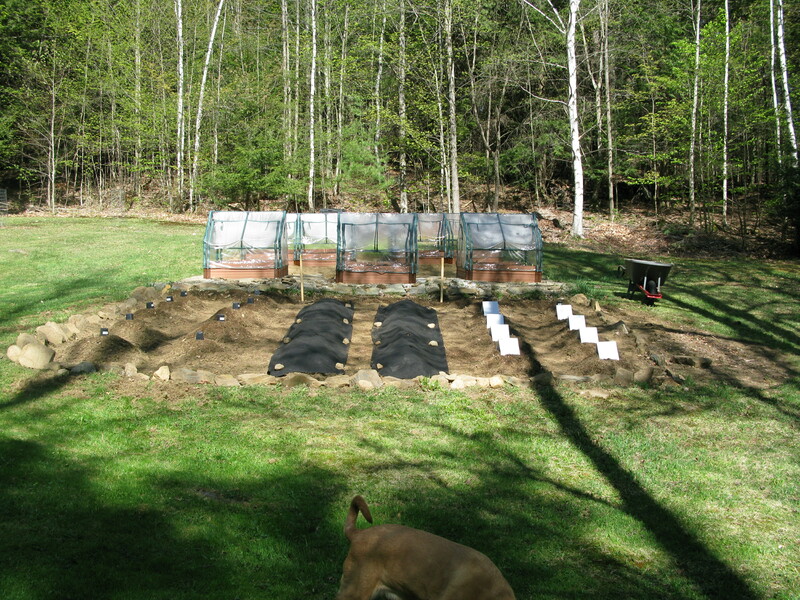 We spent this weekend preparing vegetable beds and planting the cold frames and the southern facing bed, and setting up tomato plants in the greenhouse. Next weekend we will move onto the other two beds. The beds in the picture are new this season so we also had to move about 1,600 pounds of organic grade soil into the new raised beds, needless to say sore muscles were had by all. In an effort to make us feel better, I broke out the bottle of aspirin and baked some carob zucchini muffins. Preheat oven to 350 degrees. Grease muffin pan and set aside. Whisk flour, carob powder, baking powder, baking soda, salt and cinnamon together. In another bowl, cream mashed banana with applesauce and raw sugar. Stir almond milk, vanilla and zucchini into the banana mixture. Add flour mixture into wet ingredients until just combined. 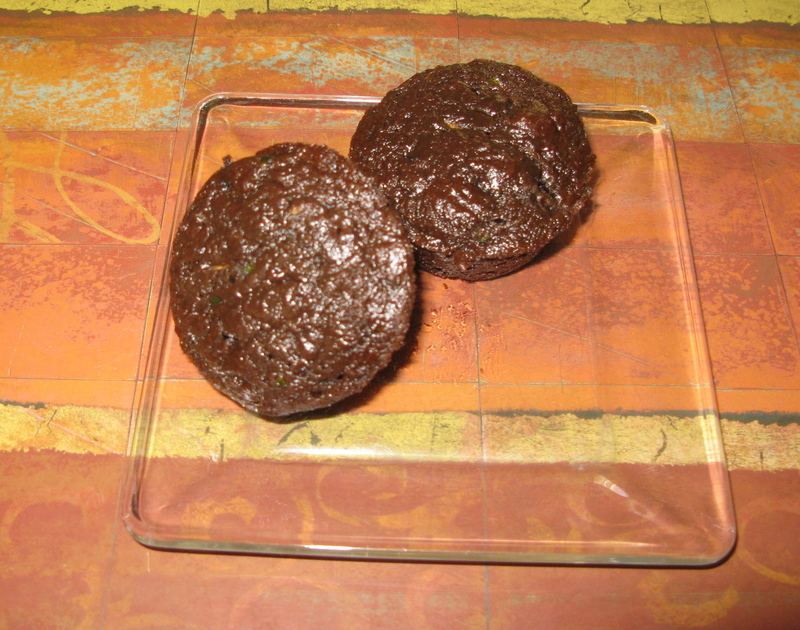 Spoon batter into greased muffin pan and bake 18-25 minutes, or until a toothpick inserted into the center comes out clean. Cool on a wire rack and then serve or freeze. Next weekend we need to tackle the remaining two vegetable beds — so I will have to come up with something new and yummy for next Sunday. This weekend we spent the entire two day getting the vegetable gardens ready for planting, so there was little time for making meals. Saturday was basically what you could find in the frig. Sunday I put a pot of early greens on to simmer and rounded the dinner out with hot water cornbread — something that I have not made in a very long time. The bread is great a starch for those time when it is to hot to turn the oven on. Hope that you enjoy this very easy to make bread. In a medium bowl, combine cornmeal, salt, syrup and olive oil. Pour oil into a large skillet and heat to 375 degrees. Shape cornmeal mixture into flattened balls using a heaping tablespoon. 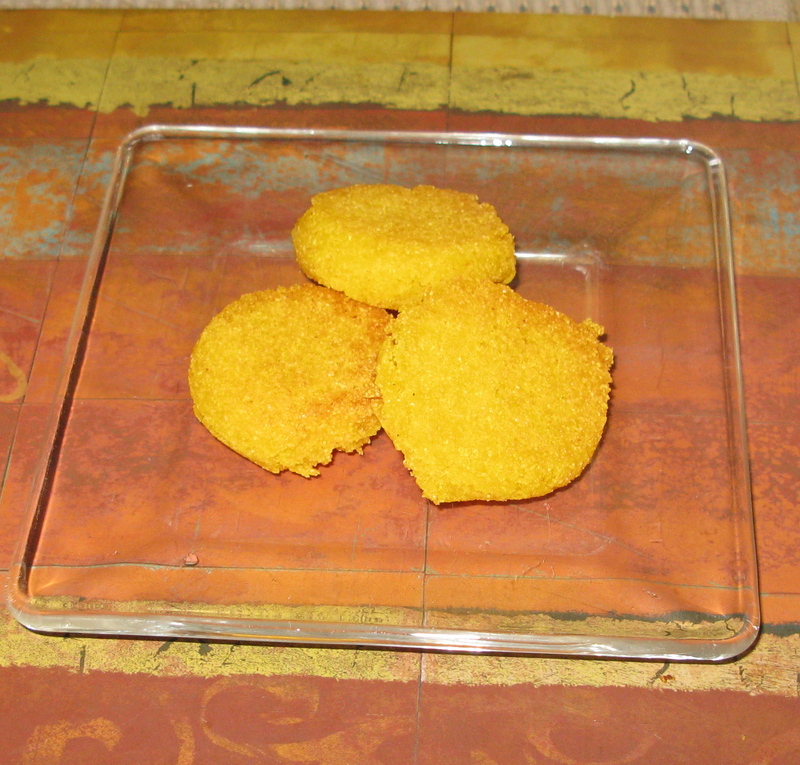 Fry flattened balls in hot oil, turning once, until crisp and golden brown, about 5 minutes. Serve at once with maple syrup or honey. Today I spent most of my day working on my website and cutting fabric for a demonstration that I will be doing at a quilt show next week, so I had little time to creating a dinner for my family. 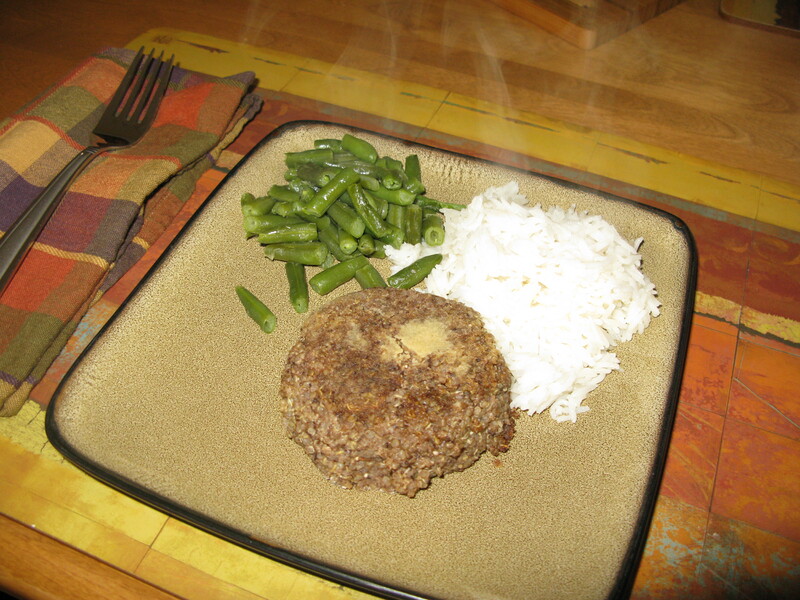 Luckily a quinoa burger (~ 10 grams of protein per burger) recipe came to my rescue — add some jasmine rice and a green vegetable and I had a quick and tasty meal. Combine everything except quinoa, olive oil and rice flour in food processor. Mix blended mixture and quinoa together. 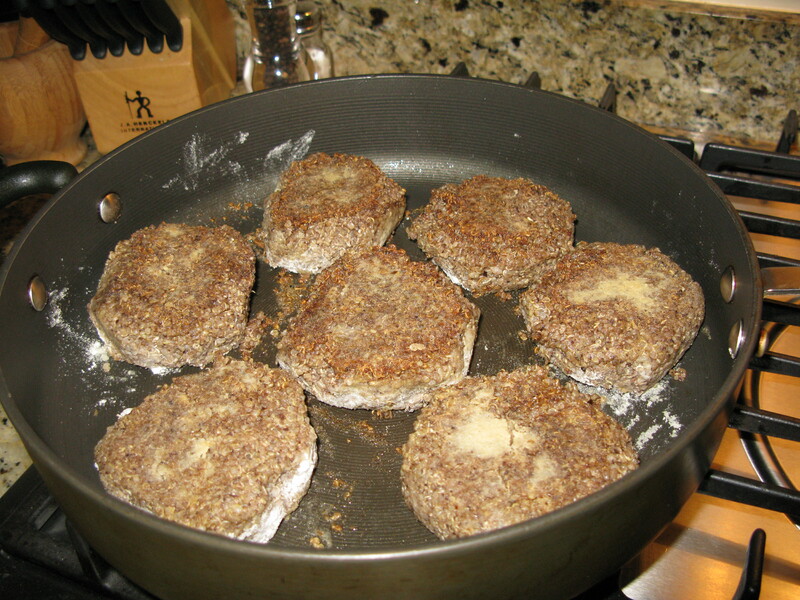 Divide into 6-7 burgers, roll in flour to make a crust. Pan fry in olive oil until browned. Serve warm with a few side dishes. Heat oil in a large pot over medium heat. Saute onion until tender and translucent. Stir in the curry powder. Add the chopped carrots, and stir until the carrots are coated. Pour in the vegetable broth, and simmer until carrots are soft. Transfer the carrots and broth to a blender, and puree until smooth. Serve with fresh croutons and parsley. For those of you who like oatmeal but don’t like the hassle of cooking steal-cut oats or have little time to make breakfast in the morning may ‘like this recipe. I like to put this recipe together on Saturday night and it is ready by Monday morning. It can be eaten right out of the refrigerator or warmed in the microwave for a minute or two if you prefer a hot breakfast. Mix all of the ingredients in a glass bowl with a lid. Stir, close lid and refrigerate for a day or two. Open the lid, stir and serve with fresh fruit. If you like a warm cereal — heat in microwave for a minute or two. Makes 2-3 servings.